Tweed has come to stay in today’s fashion circle. Knowing how to style this fabric material is an absolute necessity. This short guide will help give you a breakdown of all things tweed so you can stay trendy. Gone are the days when people think of tweed as for old-fashioned and conservative guys heading to the countryside for games. Tweed is a heavy fabric and is one of the best ways to stay warm without bulking in layers of clothing. Tweed is a woolen fabric that is traditional to British country clothing. It’s water resistant, strong and ideal for countryside activities. The hard nature of tweed means they are more durable than most materials out there. Tweed clothing today has been refashioned and restructured to suit the contemporary gent. There is a repertoire of styles in various formats out there that features newer cuts, repositioning tweed as a fabric of choice. The plethora of styles in trousers, jackets, and shirts presents a fabric with limitless possibilities and that transforms the material from a traditional and conventional piece into something more contemporary. No matter what the cold weather throws at us, tweed is a surefire way to stay comfy and utterly stylish. A simple look at the various patches, zipper options and newer patterns in the market will reveal how tweed fashion has evolved over the years. Wearing Tweed is easy. 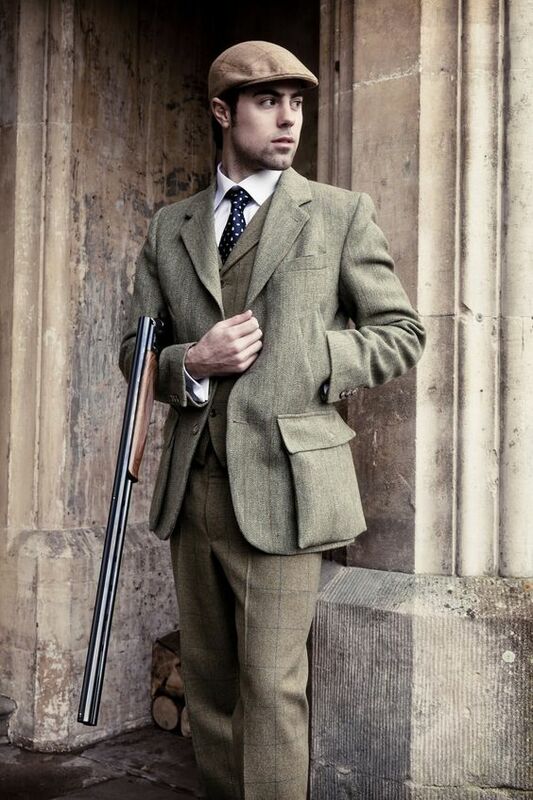 If you are looking to purchase your first tweed clothing we’d advise you go for a jacket first. 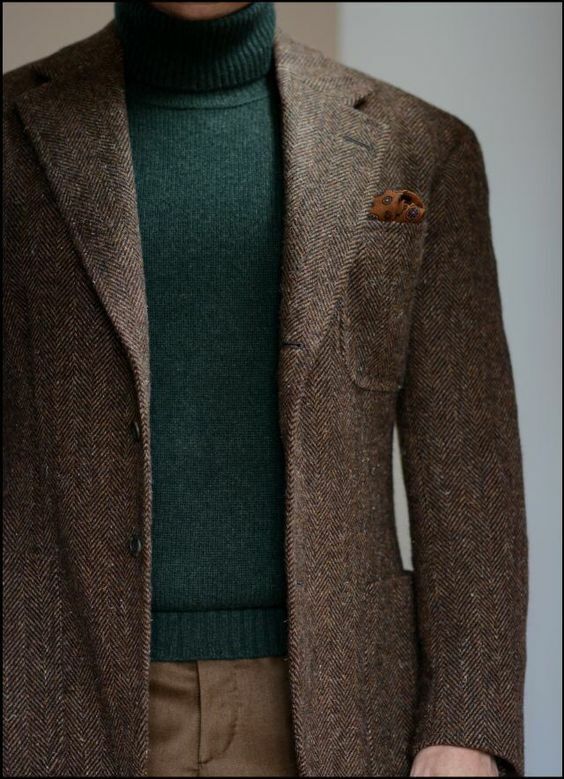 Tweed jackets are the most popular of this fabric. They are easy to style and can blend in nicely with other items of clothing. They will keep you warm without making you try too hard. A brown tweed jacket and waistcoat can quickly slip you into a traditional English appearance. To avoid the look from looking dated try to blend it with modern day accessories to bring it up to speed with the times. A nice pair of denim jeans or fitted chinos can quickly accentuate your dress silhouette. For shoes, think desert boots and chukkas. Check tweed makes more of a distinct style statement than plain brown tweed. To pull off check tweed nicely, pair with a white shirt and tailored suit trousers to match. If a formal approach is not what your intentions are, blend the check tweed with well-fitted denim jeans for a smart-casual look. Avoid paring check tweed with a check-patterned shirt. This combination will make the dressing assembly too loud. 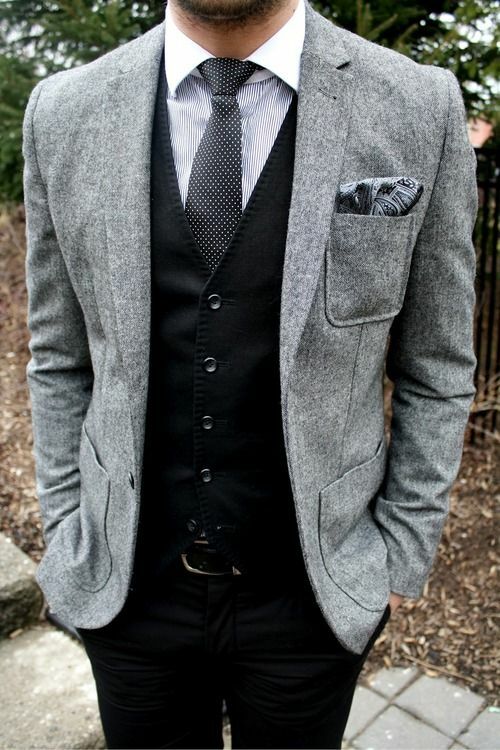 Grey is the most formal of the three tweed colors discussed here. Grey is the easiest to be mistaken by the public as been too dated and traditional. This means it’s equally the hardest to style properly. Breathing life into this jacket in ways that modernizes it should be a top priority. To make things more interesting, pair with your favorite pair of black or blue denim jeans. It’s sure going to look better with a harder material. Neutralize things with a plain white or blue shirt, finishing the smart-casual look with a nice pair of brogues or desert boots. Avoid using trainers, sneakers, and corduroy pants. Opt for a quality silver watch for best results. Going for a smart-casual look with Tweed? Ensure you don your tweed jacket with a nice pair of jeans. Opting for a chunky tweed jumper jacket over a plain white tee can help you look seasonal, bringing you to speed with times. Keep things simple by going for colors that complement each other. Never pair a patterned tweed jacket with a patterned bomber. The dress outfit will look too loud. Tweed trousers are a lot harder to style than tweed jackets. This is the reason why we advised that you start out with jackets. Once you have grown in “tweed confidence” you can attempt paring tweed trousers. Although they are very fashionable, your A-game will need to be at its best to pull it off. If you want to style tweed trousers properly, pair them up with their complementary tweed jackets or blazers. The best way to go about tweed trousers is to match them up with tweed, do the double. Use a crisp shirt to keep things formal. For a casual fit, pair a tweed trouser with a black or brown leather jacket on a monochrome t-shirt. Finish off the look with a nice pair of chukka boots. If it’s your thing, you can try to mix things up a little with a checked shirt, tweed suit, and trousers. Lastly, use the traditional grey trousers with darker upper shades for a relaxed fit. A beautifully constructed tweed tie can be the icing on the cake especially when you go for tweed trousers and a contrasting tweed blazer or jacket to match. Pick monochrome over any other type of tweed tie for a relaxed and comfortable fit. If you put on a crisp checked shirt ensure that one of the colors matches the color of the tie. Tweed caps are in trend. They are a popular way used by many people to bring an outfit together. The flat cap in this regard comes into play. Newsboy hats, flat caps and other types of caps can come in cool tweed styles. They add a level of excitement to any outfit. If you want to use a tweed cap your personal style and cap preferences come into play here. Finish the look of our favorite jeans, white shirt and black leather jacket with a crisp looking tweed flat cap. Team the dress combo with a traditional pair for wellington boots made for weekend adventures. If you rather look bold and daring, opt for a nice herringbone cap with a check shirt to match, slim fit jeans and a nice desert boot. Remember that the length of the cap is important. Round-faced individuals should stick with a longer lapel while those with shorter faces can opt for an oblong cap. Styling tweed can vary according to your personal preferences and style. The combinations are endless depending on what the occasion demands. 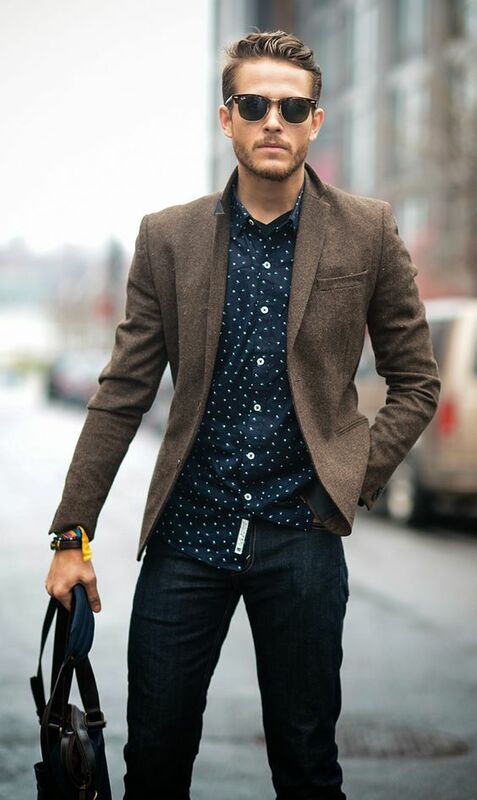 Use them piece by piece, pairing tweed jackets with complementary jeans or trousers and vice versa. 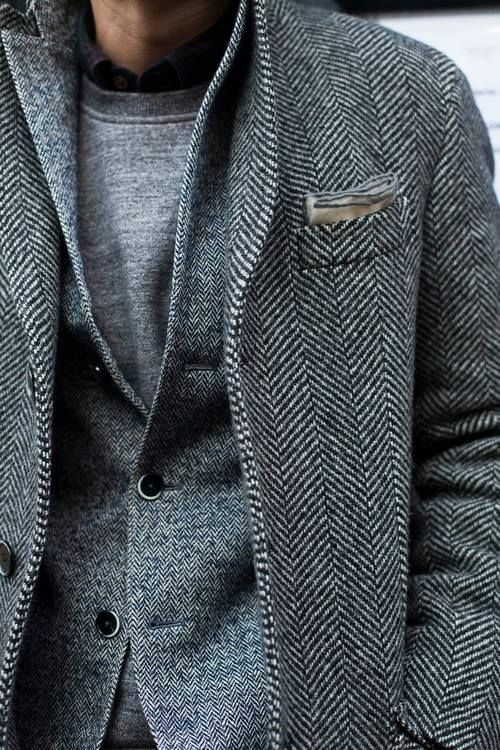 Grey tweed is the most traditional form of tweed and works best when you do the double. Accessorizing with pocket squares, wrist watches, caps and complementary ties can modernize your outfit. 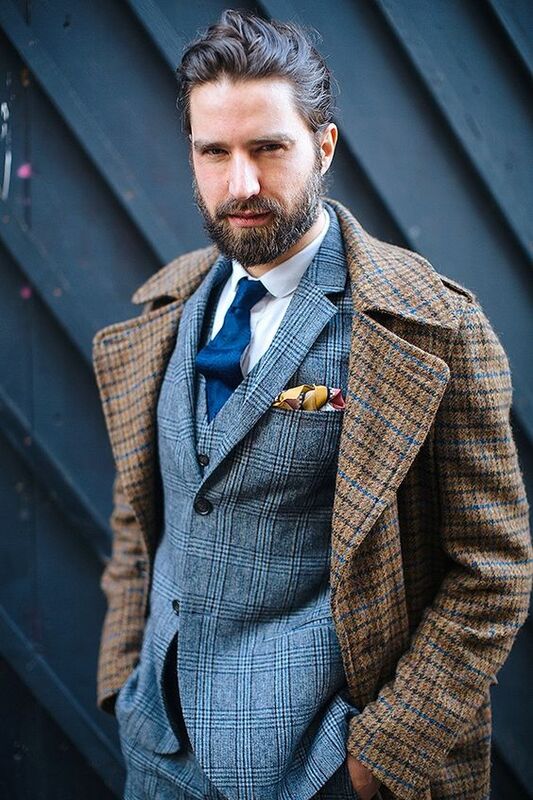 If you like the heritage of the British Empire, wearing tweed is the closest thing you can do to incorporate that rich heritage to your outfit. Avoid going overboard with tweed by just spotting two tweed dress items at a time. 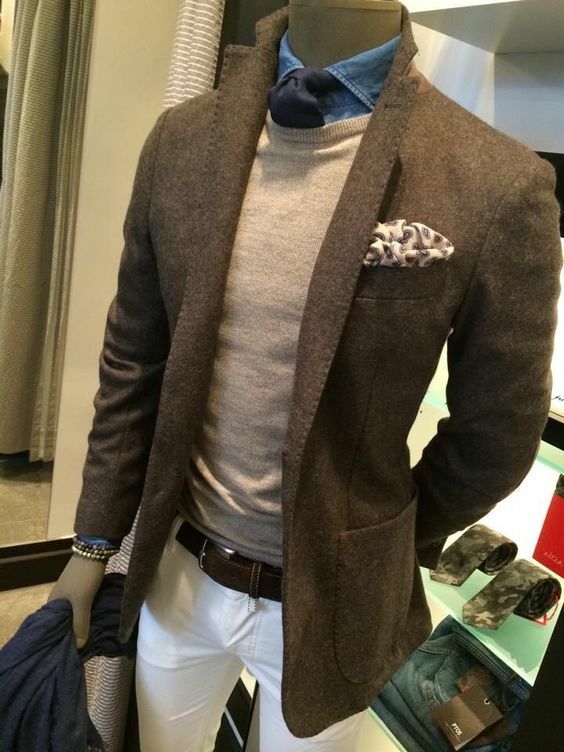 A pair of dress tweed pants and jackets for a formal look and fitted jeans and a blazer for a smart-casual occasion.